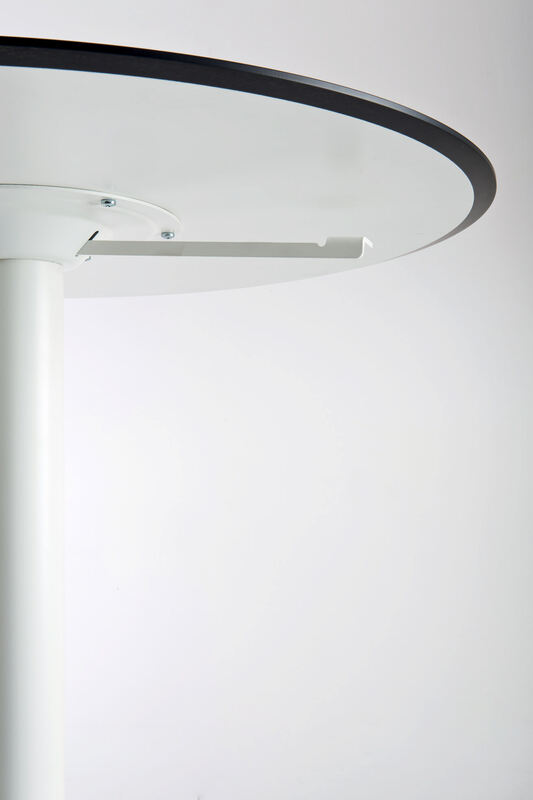 Adjustable height dining table. 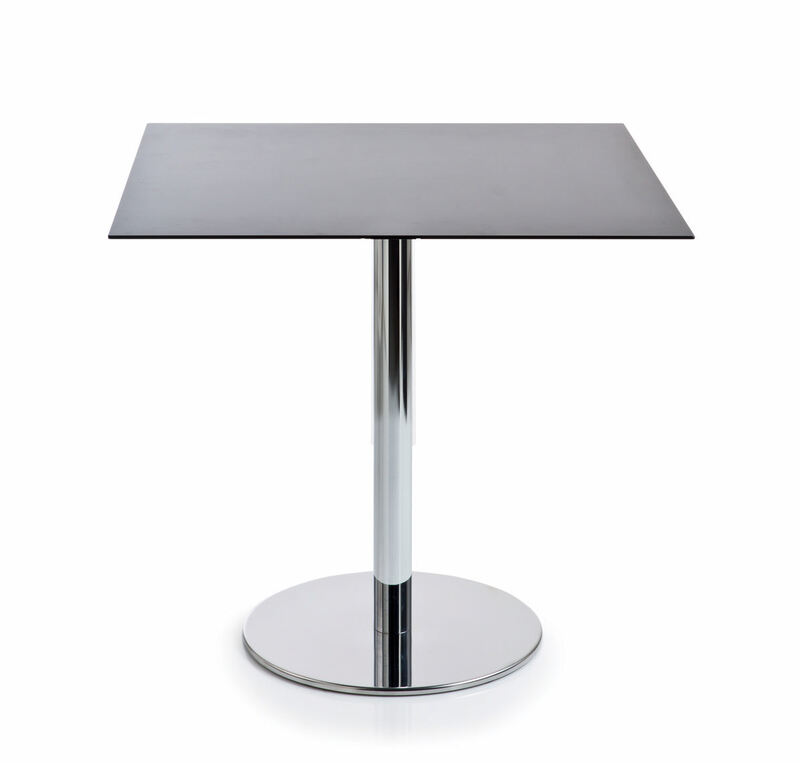 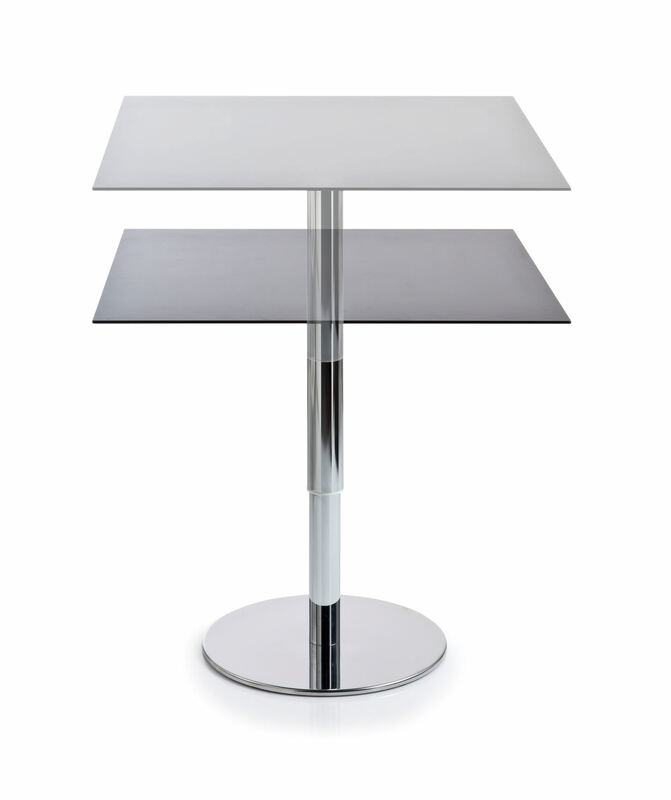 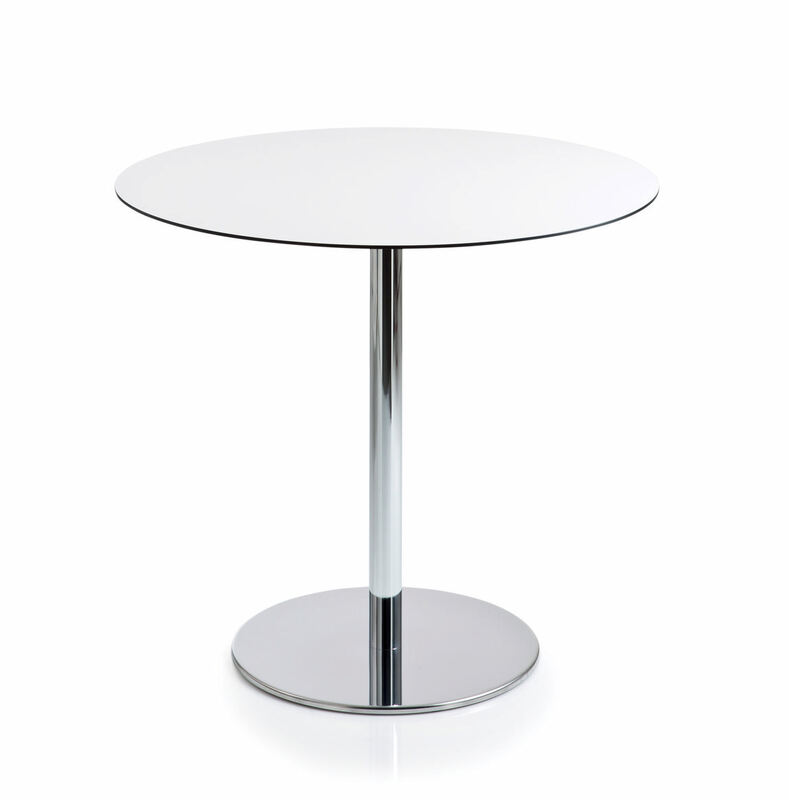 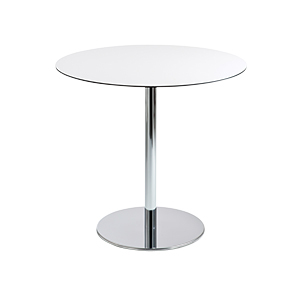 Base in stainless steel with polished chrome or white finish. 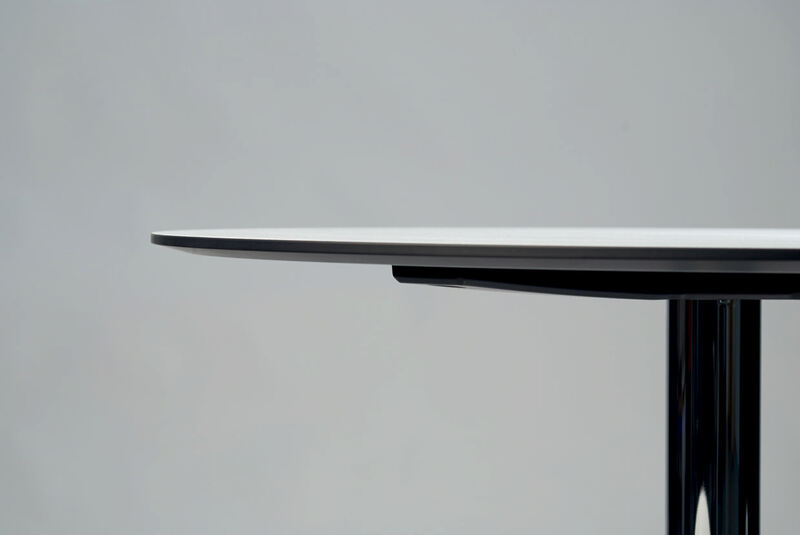  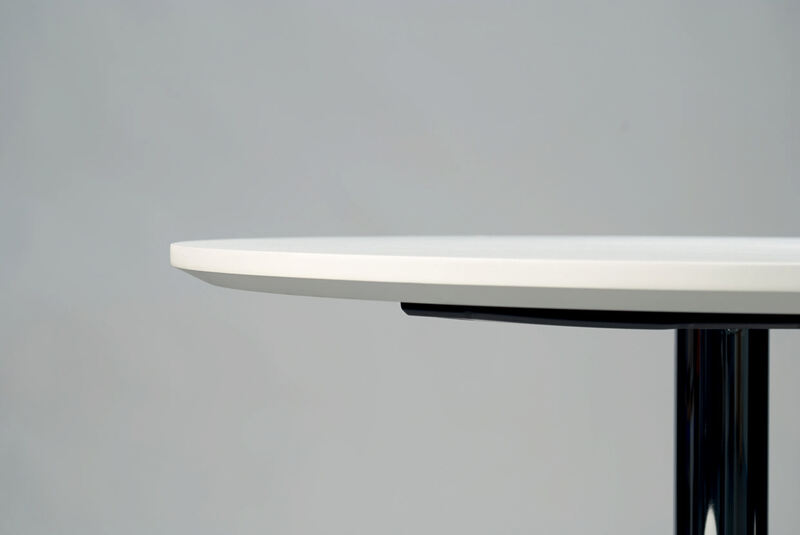 Post in high resistance steel in white, black or polished chrome. 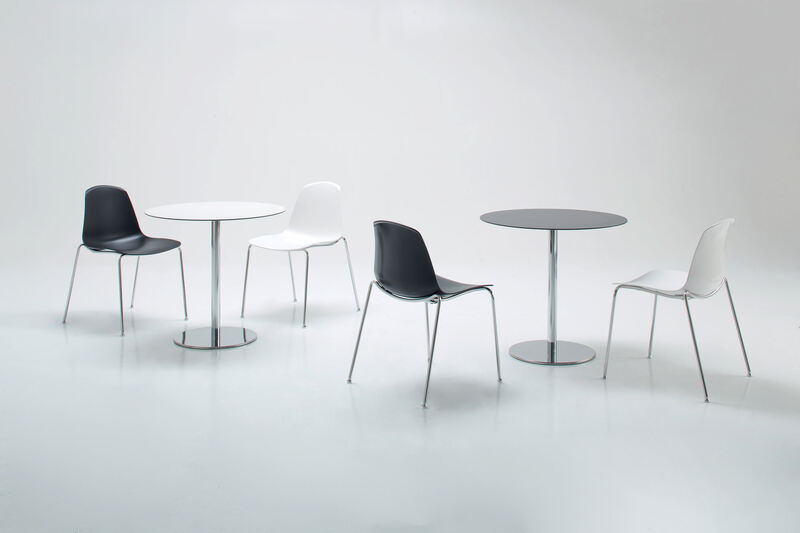 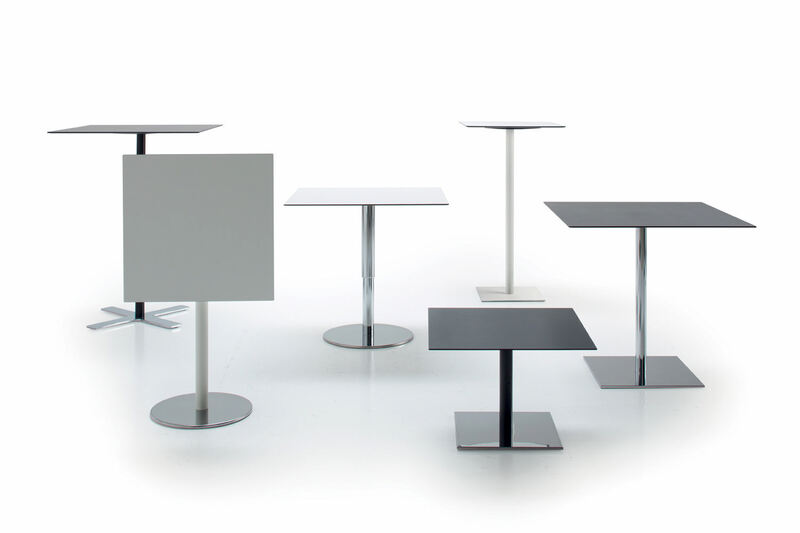 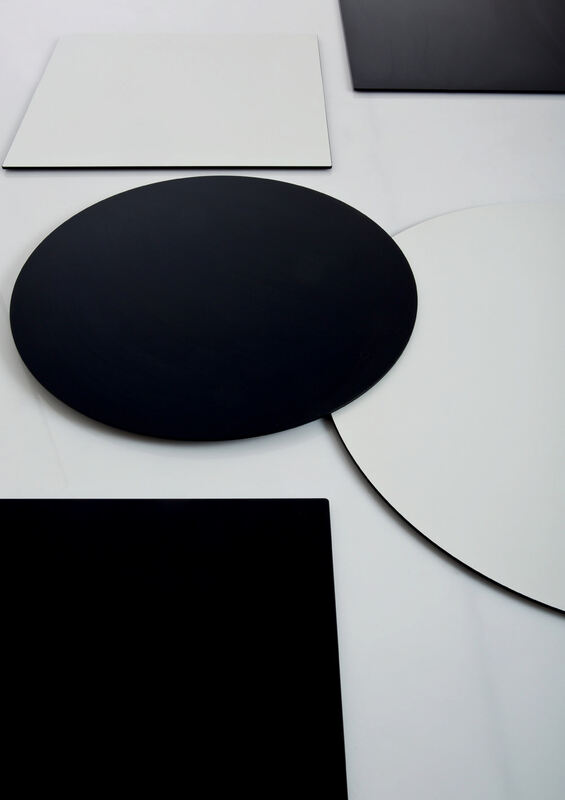 Top in 10mm thick HPL with embossed white or black matte lacquer or 19mm thick MDF with embossed white or black matte lacquer. 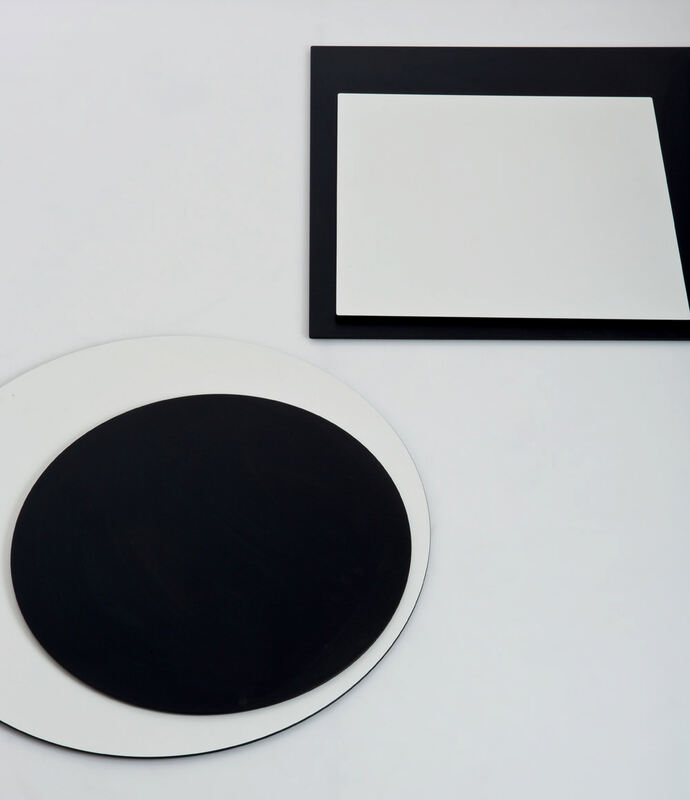 Round or square top.